Practice writing Y y on the ruled lines and then color in the pictures of the yarn and yo-yo. 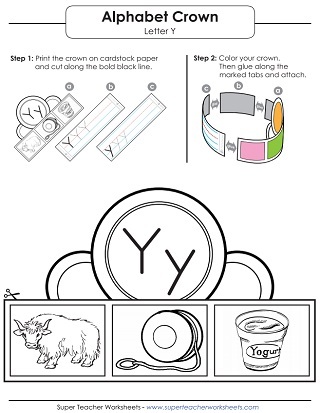 Color the pictures of the yak, yo-yo, and yogurt and then write some Ys. Assemble and wear the hat all day. Write along the dotted lines to practice lower-case y. Trace along the gray line to learn how to write lower-case y. Use this worksheet as a practice for writing capital letter Y. Another good resource to help practice writing capital letter Y. 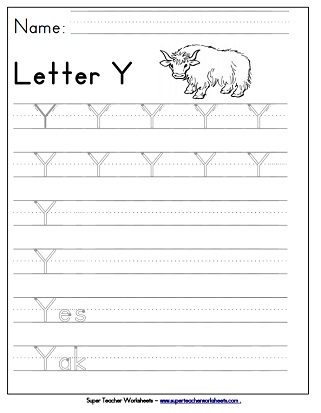 Learn all about the letter Y y with this printable practice page. Dot the circles in the shape of the letter Y to practice letter recognition.